Mary MacKillop Today believes that collaboration is vital to creating sustainable and lasting change. We therefore partner with a number of local organisations and stakeholders within the countries where we work, to ensure change is locally driven and to build the strength of local actors in promoting positive change in their communities. Our partners, listed below, therefore play a vital role in achieving Mary MacKillop Today’s mission. Callan Vanimo Inclusive Education Resource Centre is one of 19 centres within the Callan Services Network of PNG. 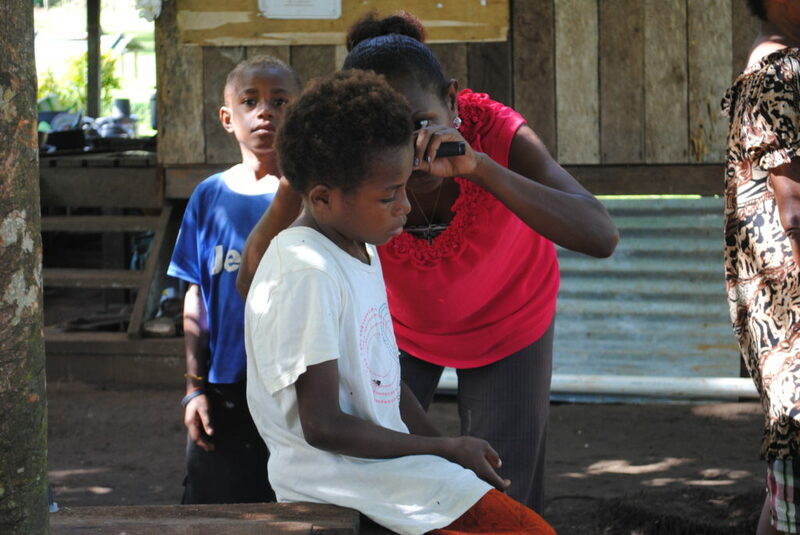 Callan was established to provide vital services for people with disability in PNG. Callan’s vision is “to create an inclusive society for PNG where people and especially children with disability live life to the full without discrimination and other forms of injustice.” Callan Vanimo works towards this vision through their education and health programs targeted at children and adults with disability in the Vanimo district. 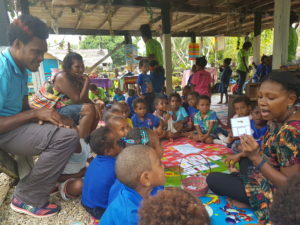 Thanks to the partnership with Mary MacKillop Today, Callan Vanimo have been able to expand this vital work to remote village communities through the training of community-based volunteers who act as a bridge between remote communities and service providers, provide ongoing support and education to people with disability and their families, and advocate for a more inclusive PNG. Buk bilong Pikinini is a locally staffed non-government organisation based in Port Moresby, PNG. Buk bilong Pikinini’s mission is to “support Papua New Guinean children with access to high quality books and literacy programs.” Buk bilong Pikinini has established a number of community libraries around PNG, and has distributed thousands of vital books and early learning resources to schools and libraries with depleted supplies. Recognising the great need for early childhood education in more remote regions of PNG, Mary MacKillop Today has partnered with Buk bilong Pikinini in the launch of the new Komuniti program which trains community educators in rural areas in the Buk bilong Pikinini literacy program, while distributing learning resources to participating communities. CEOP Ilo is a local NGO based in the Moquegua district of Peru. CEOP’s mission is to build the capacity of social, political and economic actors to foster inclusive public policy to build a just, equitable and supportive society. 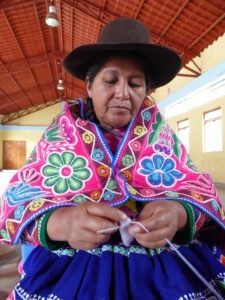 CEOP Ilo was founded by the Jesuit Society of Peru and maintains a close relationship with the Jesuitas Office of Development and Procurement in Lima. Through the partnership with Mary MacKillop Today, the Jesuit ODP and CEOP Ilo have developed and expanded the School Peace Program, creating safe and supporting learning environments for thousands of children in the region. CCAIJO is a not-for-profit founded by the Jesuits in Peru to promote justice and equity in the Cusco valley region. 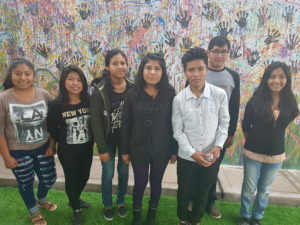 CCAIJO is dedicated to education and rural development, and provides training and technical support to vulnerable communities to generate changes in the vision and management of the development of the province of Quispicanchi and of the region of Cusco. Together with Mary MacKillop Today and our fair trade organisation, ethica, CCAIJO is helping to build new skills in rural communities, empowering women to be active in their local economy, participate in decision making, and build a more equitable future for other young women. Ola Fou Fiji is part of a regional network of organisations committed to empowering young people to make positive contributions as citizens and custodians of their communities. Through their programs, Ola Fou Fiji seek to equip young people to be agents of change to transform, restore and build resilience in vulnerable communities. Mary MacKillop Today is partnering with Ola Fou Fiji to expand and deepen the impact of their work by developing the leadership capacity of young women in remote and underserviced communities. Child Benefit was established to ensure all children realise their right to education, and develop skills early in life in order to reach their full potential. Their mission is to provide a child safe space in every community in Fiji, and provide support for parents that will in return benefit every child in the community. Mary MacKillop Today is partnering with Child Benefit to bring the joy and life-changing impact of early education to vulnerable communities living in informal settlements on the outskirts of Suva.